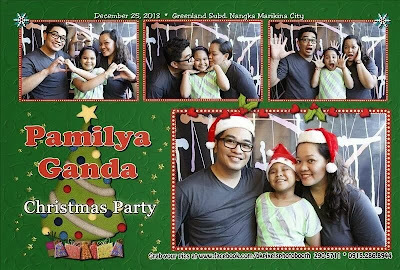 We spent our Christmas the way we usually do every year. The only difference this year is that Bea didn't play an angel as part of the Christmas mass celebration. This year we welcomed a new parish priest and well ... Let's just say he isn't too much into plays and pageantry. So we went to mass earlier to avoid the crowd. Before that, the little girl and I sang our hearts out with our almost decade old Wow Magic Sing. Yes, I think I finally passed on the singing bug to her! Hahaha! 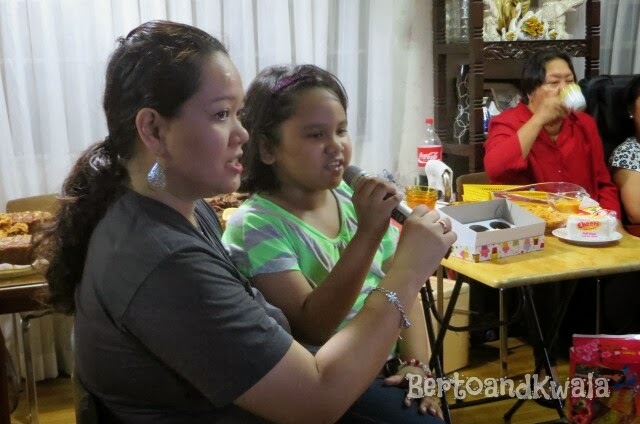 It started when we attended my barkada Christmas party and she heard her 6yr old friend sing Got to Believe in Magic. Now that song is all she wants to sing! So cute! After mass, we had a simple dinner then just watched TV, waiting for Noche Buena time. Bea refused to sleep. She was too excited to open her gifts to even feel sleepy. And she didn't even have a nap that afternoon. I swear, sometimes I wonder where she gets her energy! After our Noche Buena, (which was comprised of the usual fare: special fried rice, ham with pineapple sauce, barbecue, kaldereta, hot chocolate and hubby's buko Pandan surprise), we opened our presents. I got a Starbucks planner (weeee !) while Berto got a hot and cold mug (oops forgot to take a pic) from my sis. 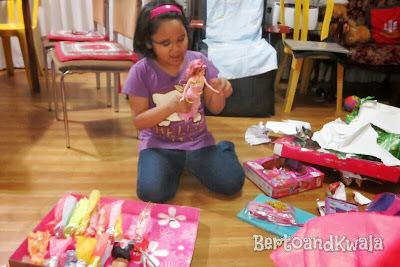 Bea received lots of presents this year, though slightly less because no more gifts from her ninang from my former job I didn't get to meet up with them before the holidays. I admired Bea for her determination! She really didn't open her gifts until it was time. *clap clap clap! After playing with her new toys some more, Bea finally plopped on the bed and asleep in less than a minute. On Christmas morning, we didn't get to have breakfast together since I woke up late. :( Berto woke me with coffee in bed, telling me that visitors will soon be coming and I should start getting ready. Argh ! Sure enough, they came. Inaanaks I only see every Christmas who don't even bother to greet me when I see them on the streets (hay). Then our family from my mom's side began to come. Yey ! Reunions can be pretty tiring but I do miss them sometimes. 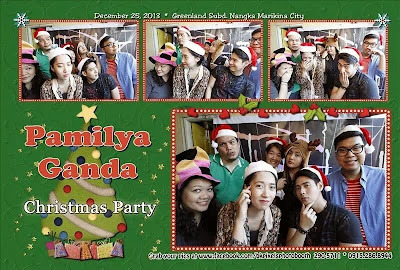 This year, some of our family from Tacloban joined us. They were also ravaged by the typhoon Yolanda and had to come stay here in Manila until this become normal in their area. It's a sort of blessing in disguise since we wouldn't have had the chance to meet that side of the family if they didn't relocate here. :) *focus on the good stuff I always say. The rest of the afternoon was spent singing, eating, exchanging gifts, and then singing and eating some more. Berto set up our photo booth and had our annual wacky shots taken. 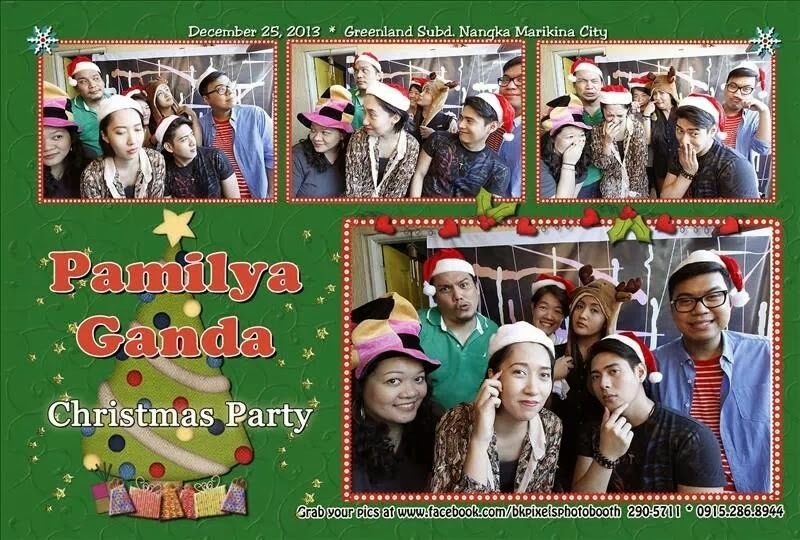 Here is a photo booth pic of me with my crazy cousins and of me and our family. I love the photo! And it was Bea's idea too! 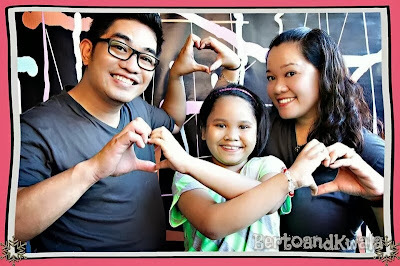 I posted it on my Facebook wall with the greeting : 'Tis the season to celebrate LOVE and FAMILY. Merry Christmas from our family to yours! Cute huh? How about you guys, how did you spend Christmas this year? Love the family pic. 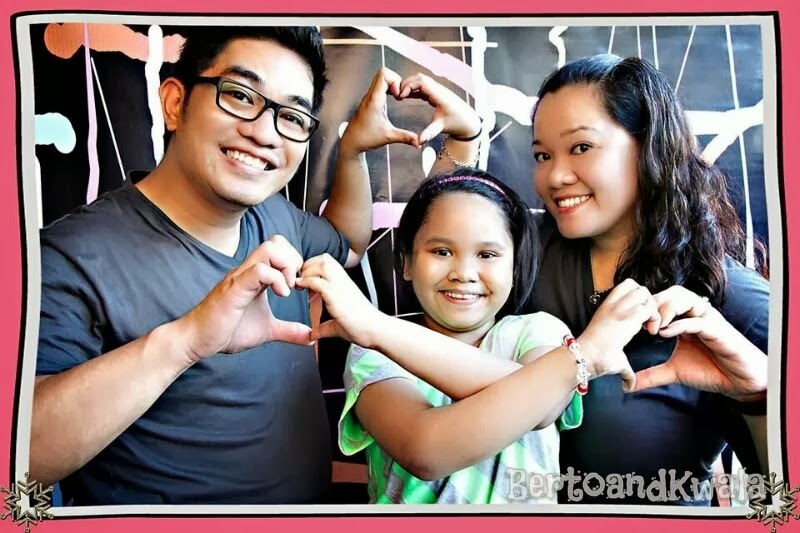 Merry Christmas Berto, Kwala and Bea! Thanks Kat! I hope you had a wonderful Christmas too! God bless!